We’re back with another super-charged, extra long episode of See You Next Wednesday! 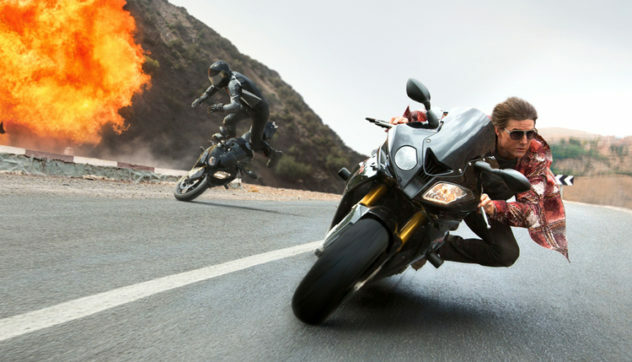 Today, Dan and Casey have a mission – if they choose to accept it – to head out to the theater and check out the latest Mission Impossible film Rogue Nation to find out if Tom Cruise hung off that plane for a film that’s worth your time – or if the series is ready to self-destruct. Then, Greg boots up his brain to hunker down over the vintage arcade cabinet that is Adam Sandler’s PIXELS. Is this Ghostbusters inspired comedy worth the circuit board it’s printed on, or should it be buried beside old E.T. cartridges? Then, we talk about Lady Gaga’s album Born This Way, and roll for movies next week. But before all of this, we’re talking about the unfortunate loss of Roddy Piper, before we review and chat about Spacehunter: Adventures in the Forbidden Zone, Staten Island Summer, Star Wars: Attack of the Clones, They Live, Wet Hot American Summer: First Day of Camp, Tig, and so much more! Finally, Casey takes us through another episode of Beverly Hills, 90210 season three in 9021Oh Yeah Relay!